The first measurable snow of the season will arrive before the end of the work week. 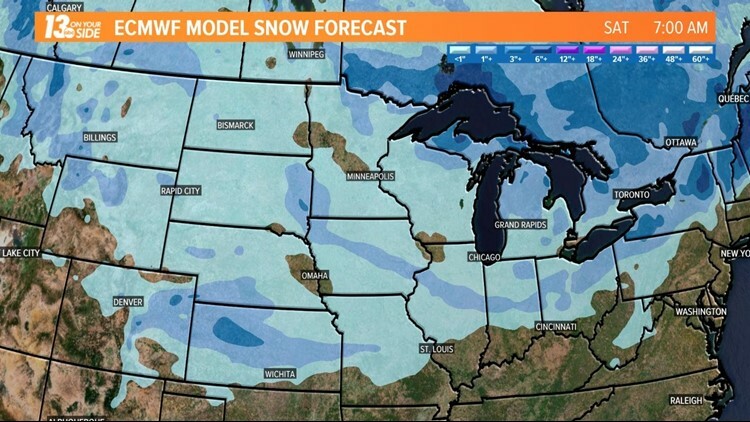 GRAND RAPIDS, Mich. - Before the week is out, snow will be accumulating on the ground. And it's coming right on schedule. 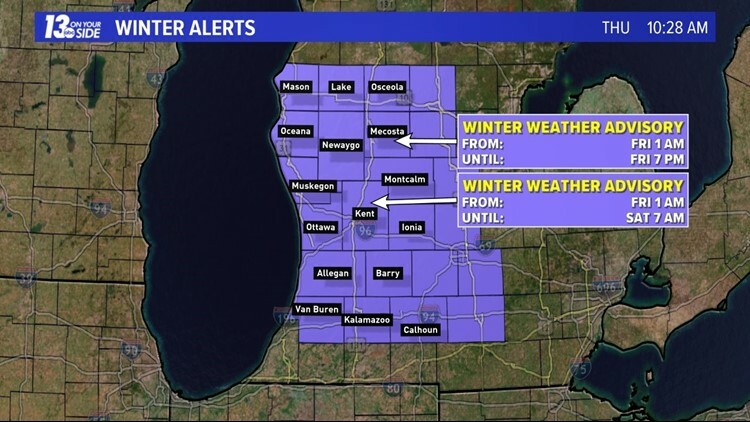 UPDATE: All of West Michigan is now in a Winter Weather Advisory starting Friday morning at 1 AM. The interior counties will have the advisory expiring at 7 PM Friday, while lakeshore counties plus some interior will continue until Saturday at 7 AM. West Michigan will wake up Friday morning to snow showers and potentially light accumulations on grassy surfaces. Snow showers continue to fall through the day and wrap up around sunset. 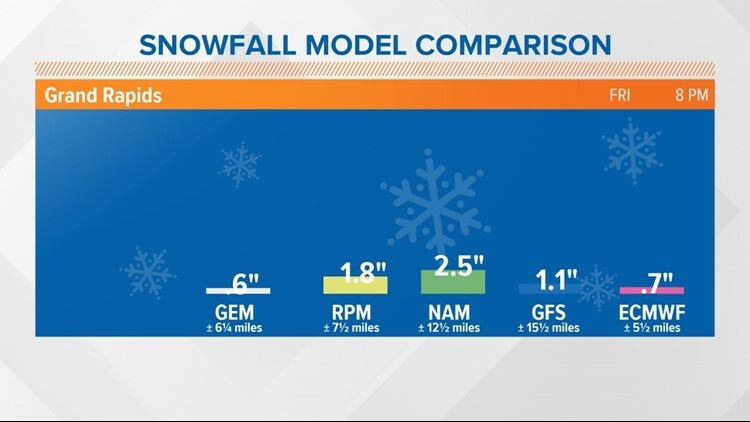 The 13 On Target weather team has been forecasting measurable snow on Friday for the past week. The snowfall forecast is one to two inches of snow to fall through the day but will be melting quickly once on the ground. 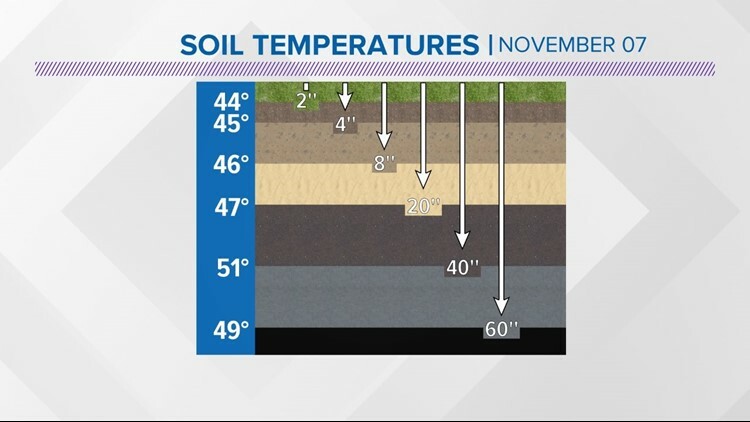 Soil temperatures are still above freezing, which is a consideration when forecasting snow accumulations. Driving could be hazardous while snow is falling but conditions will improve once the snow showers end. Light lake-effect snow showers will continue Saturday. Little to no accumulation is expected. 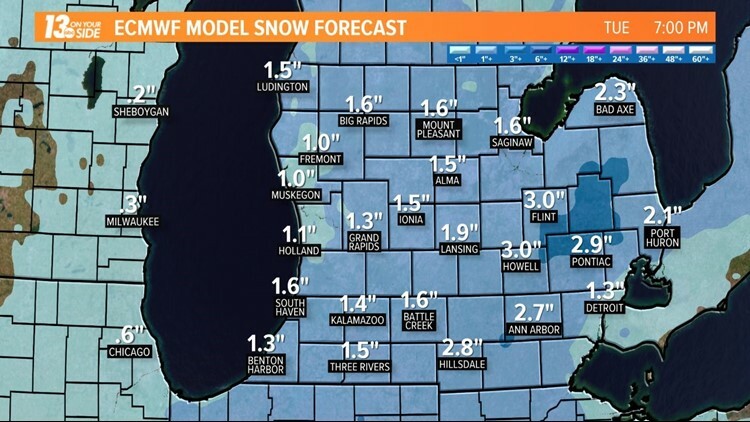 Yet another round of snow showers will arrive in West Michigan on Tuesday, bringing additional accumulations. According to climate averages (1981-2010), November 6 is the average date of the first measurable snow. The first 1" of snow falls around November 18.